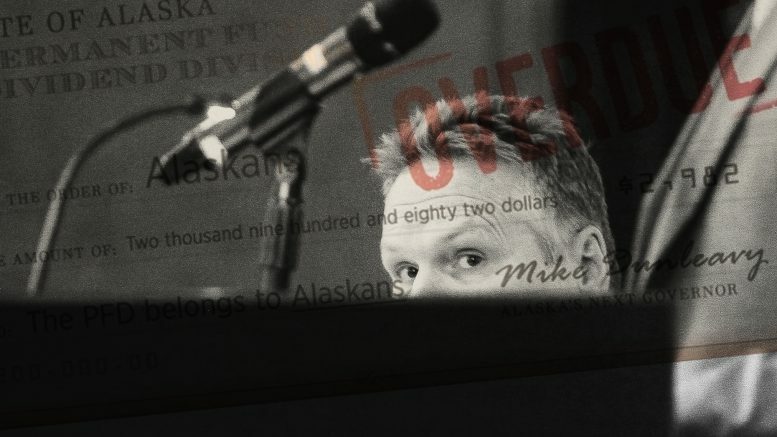 Republican Mike Dunleavy will become Alaska’s governor at noon today at a swearing-in ceremony out in the rural village of Noorvik, the hometown of his wife Rose. Though he won’t be making the trip on the much-anticipated 40-mile snowmachine trip—canceled because of the 7.0 earthquake that hit Southcentral on Friday—he’ll be assuming office with a dusty cloud of uncertainty. You can count the number of concrete promises the governor-elect has made on one hand: A full PFD, repealing Senate Bill 91 and, um, making Alaska “Open for Business Again”? We’ve already got some hints as he sets up his new administration by threatening to fire as many non-union employees who aren’t onboard with his administration as possible, his head of the Department of Health and Social Services has no health care background, his budget director is a conservative operative who’s bounced from state to state (cutting a private prison deal or two along the way), a constitutional reform director who thinks the Alaska constitution is “awful” and his head of the Department of Environmental Conservation has close ties to the forces seeking to develop the highly controversial Pebble Mine. He’s coming in toeing the pro-mining, pro-drilling, pro-life and government-hating government-rightsizing Republican party line with grand promises of a safer Alaska with no new taxes and hefty cash payments directly to Alaskans, but the transition of the 49th state into the Republican ideal won’t happen overnight. He’ll be facing the daunting clean-up and repair in the wake of the Friday earthquake, which liquefied roads and forced the Anchorage School District to shutter schools to assess an unknown list of damages (with an unknown price tag), as he’s also going to battle with the nonpartisan, non-union managers of the state’s agencies. And there’s always the specter of slumping oil prices. Even without those challenges, there’s already hints that some of these grand promises might not come to fruition whether it be in hedges, caveats or outright doubt from fellow Republicans. Still, we’ve charted the few promises that we can cobble together and will work to regularly keep track of progress he’s made on each those promises. We, ourselves, can’t promise that we’ve got every single promise that he’s made (he did, after all, attend WAY MORE forums than Mark Begich ever did, according to his own estimation, including one where he said he supported an English-only Alaska) so this list may expand. Many of these promises come from an interview he gave with Talk of Alaska, while others came from the few public forums and debates he attended. Have something else and a way to cite it? Send ‘em to your humble editor at matt@midnightsunak.com. Push more resources into development, potentially transferring more land into private hands. Be the first to comment on "Standing tall or tall talk? Charting incoming Gov. Mike Dunleavy’s campaign promises"